These are examples of a certain class of devices (x) manufactured by a certain company (y). x & y? They are also called as wrist games. Game cult manufactured by nitendo…. 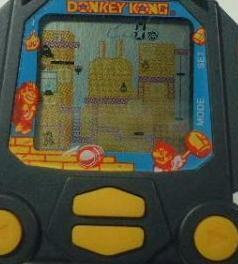 Toy-themed wrist watches(x) similar to characters from popular franchises such as Barbie, the Ghostbusters, Mario, and Dizzy Devil manufactured by Nelsonic Industries(y). 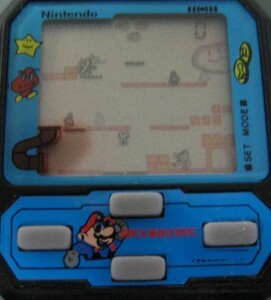 Nintendo’s Super mario Bros and Donkey Kong, on some wrist watch made by Nelson-ic. 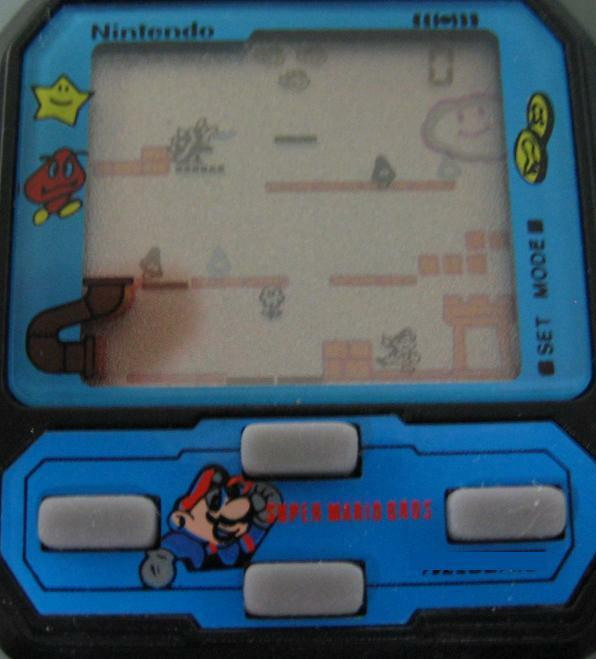 These are game watches(X) for games.. Super Mario Bros & Donkey Kong – by Nelsonic Industries(Y). Y an electronics manuf & develpmnt company that operated from Long Island, NY. It was acquired by the watch-manufacturer, M.Z. Berger.